Our skin’s natural protective barrier is damaged by wind, cold and heated air. It dries out, becomes cracked and raw. Rich nourishing moisturiser builds up the protective lipid layer and prevents dehydration. This is how your skin maintains its fresh and healthy appearance. Healthy skin is full of vitality and elasticity. Yet it is in windy seasons that its moisture balance can fall out of kilter. When it is windy, the sebaceous glands produce less oil and, without this protective lipid layer, it is harder to maintain the moisture levels in the skin. What’s more, the blood vessels under the skin contract and so the supply of oxygen decreases. The result is that the skin feels taut and scaly and becomes red. The thin areas of the skin or areas without subcutaneous (fatty) tissue and sebaceous glands such as shins, elbows and knees are at particular risk. SOS in windy season – how to protect your skin! Pamper your skin with NIVEA Rich Body Milk, for example. With its combination of selected minerals, moisturising almond oil and vitamin E, it supports the skin’s own protective function and supplies it effectively and lastingly with moisture. The skin on our lips is thin and sensitive as there are no sebaceous glands that provide a protective lipid film. This is why lips can become particularly dry and cracked in windy seasons. Do not use any irritating washing gels or heavily foaming make-up removal products on dry skin. They remove extra moisture from the skin and destroy its natural protective barriers. It is better to use a moisturising shower product such as NIVEA In-Shower Pampering Soft Milk or the In-Shower Body Milk with Honey & Milk, which make your skin smooth and supple whilst showering. Also choose rich creams, body lotions and products with urea, hydra IQ and dexpanthenol for your daily care routine, such as NIVEA Repair & Care SOS Body Lotion. This provides intensive care and prevents tightness and dehydration. NIVEA Body Milk with Almond Oil also protects the skin from drying out. This rich formula with organic argan oil and organic jojoba oil supports the natural balance of the skin. 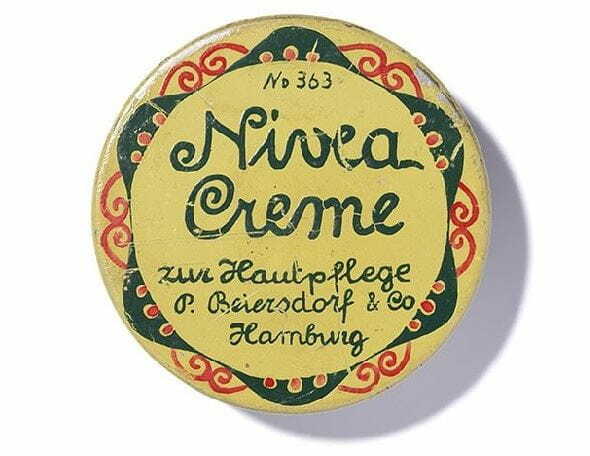 For an even more intensive effect, liberally apply creams like NIVEA Rich Day Cream with a formula of vitamin E and almond oil to your face and use as a mask. Allow to it to absorb for 15 minutes and then carefully remove the excess with a cosmetic cloth or massage it in gently. NIVEA Repair & Care Body Lotion or Body Cream. Do you tend to suffer from very dry skin? A gentle exfoliation without sharp granule pieces helps to rid the skin of dead skin cells. Peel your dry skin at least once a week. A natural scrub made of sugar and olive oil provides you with velvety skin - and is very easy to make. Wear the sugar and oil scrub gently on damp skin. You should drink at least two litres of water per day, as a lack of moisture also dries out your skin. If in doubt, test yourself: Pinch your hand with your thumb and index finger. If, after letting go, the skin returns slowly to its original state, your skin is not being supplied with sufficient moisture. Eat nuts! They are a delicious supply of energy and contain lots of healthy fats, minerals and vitamins. Oily saltwater fish and dried apricots supply the body with calcium and are anti-ageing aids. Carrot and tomato juices are full of healthy vitamins that, with the addition of a little linseed oil, can be absorbed particularly well into the body. Having a balanced healthy diet promotes health and strengthens your body’s largest organ: your skin.